Welcome to Fortune Follies Tuesday for December 31st, where bloggers can list their giveaways, and readers can enter them! I finally found copies of the Winter Family Savings booklets. I love that there are online coupons for the booklets, but having them for real is even better. Unfortunately, the coupons expire on the 31st. But I was able to get four dozen eggs for free with the coupon in the booklet. My daughter loves the Sargento shredded Parmesan, so she's really happy that we have it at home. The shredded cheese freezes well. This week's trip was a lot higher out of pocket than usual. 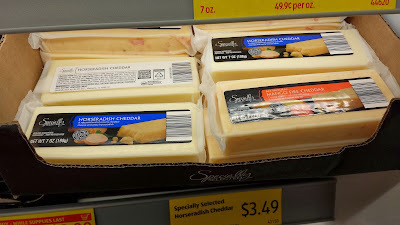 Besides the expensive (though on sale) shredded cheese, another reason is that I almost made a coupon mistake - I thought that the Kraft Singles coupon from the Family Celebrations flyer was a match for the Kraft Singles sale this week. But it wasn't - the Family Celebrations coupon is for 16 oz packages, but the sale is on 12 oz packages. I caught this problem while in line and didn't want to make a change after my food was already on the conveyer belt. 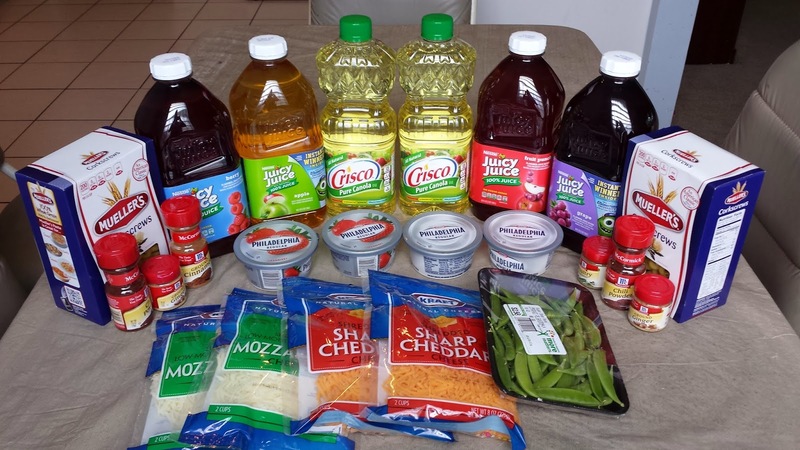 Publix: More cheese, juice, and pasta! 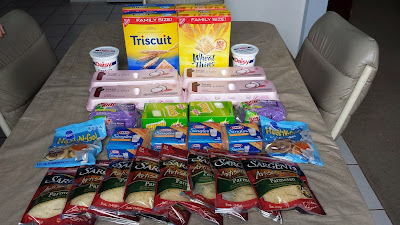 I took a second trip to Publix during last week's sale to pick up more cheese and pasta, as the coupons I used specified one coupon per customer. I also got more cream cheese and juice, and picked up some cheap Steamfresh sides and mac & cheese. Thanks to Betty Crocker for providing the information and products for this recipe! I love brownies! I do like making them from scratch - here's my recipe - but sometimes even a good baker gets busy and can need a little help! 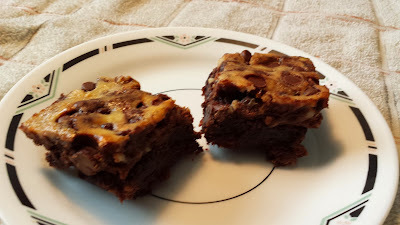 So I was really excited to receive the recipe for Cream Cheese Swirl Brownies from Betty Crocker! The recipe takes a boxed brownie mix and adds a simple extra layer of sweetened cream cheese - it only take a few minutes for this extra step - and turns it into an amazing, delicious dessert! Welcome to Fortune Follies Tuesday for December 24th, where bloggers can list their giveaways, and readers can enter them! 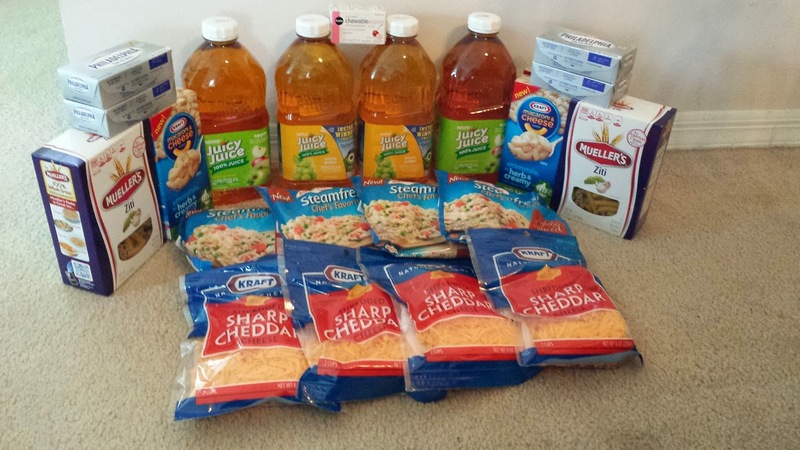 Thanks to ALDI for providing a gift certificate to facilitate this review! All opinions are my own. I love shopping at ALDI! I love the great prices, of course, but there's so much more to love about ALDI. I love the small store size - no getting exhausted running all the way across the store to get an item you forgot to pick up. It's so easy to shop there with kids because of the size as well. Plus, they love to put the quarter in to take out the cart, and then to get the quarter back when putting the cart away. 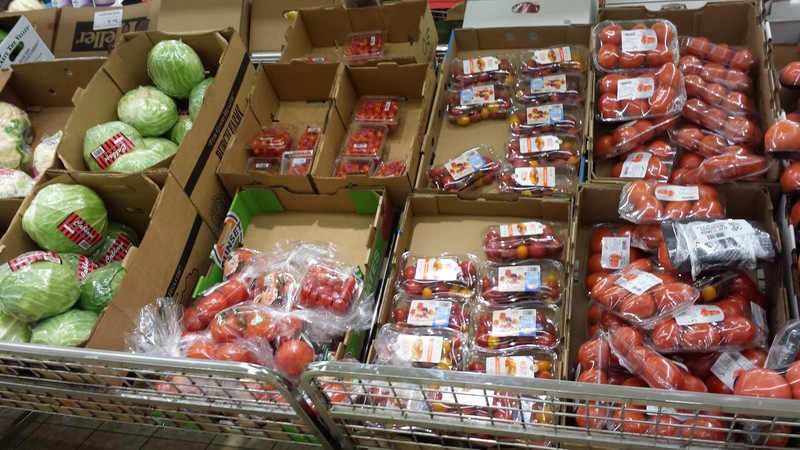 ALDI usually only has one brand of an item, but to tell the truth, the lack of choice is a blessing in disguise - fewer choices to make means less stress. And all of the house brand items I've tried have been just as delicious as a name brand. Their dairy and produce items are of great quality and are a lot cheaper than those at the supermarket! If I had to pick out one fault of ALDI, it would be that it just doesn't carry certain items. But if you're shopping for everything you need for your holiday meal, that's not true right now! 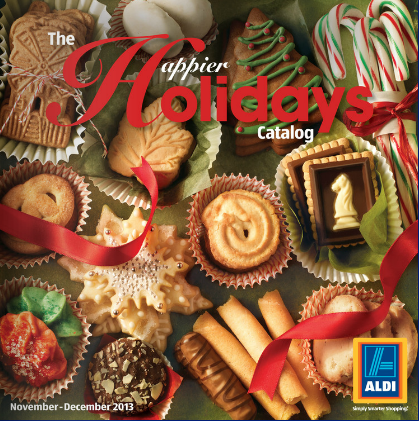 The ALDI Happier Holidays catalog lists lots of great items you can get to make your perfect holiday meal! 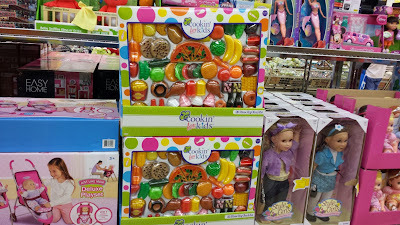 The catalog contains not only food, but also kitchen items and toys! Check out the great prices on these stand mixers! I may just have to go get myself one. 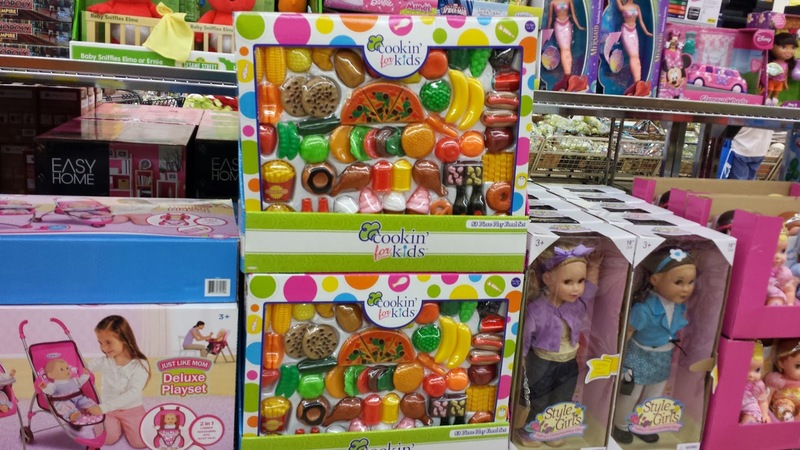 And for last-minute shoppers, ALDI also has great deals on toys, like this pretend food. But, of course, the food reigns supreme! 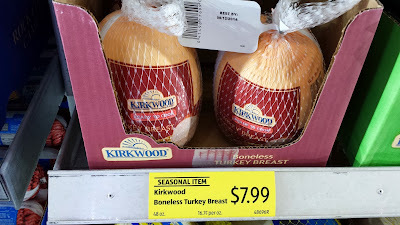 I started wondering if I could make a great holiday meal just from items found at ALDI. If I were making a holiday meal solely from ALDI items, here's what I would make! I'd start the meal with wine and cheese. 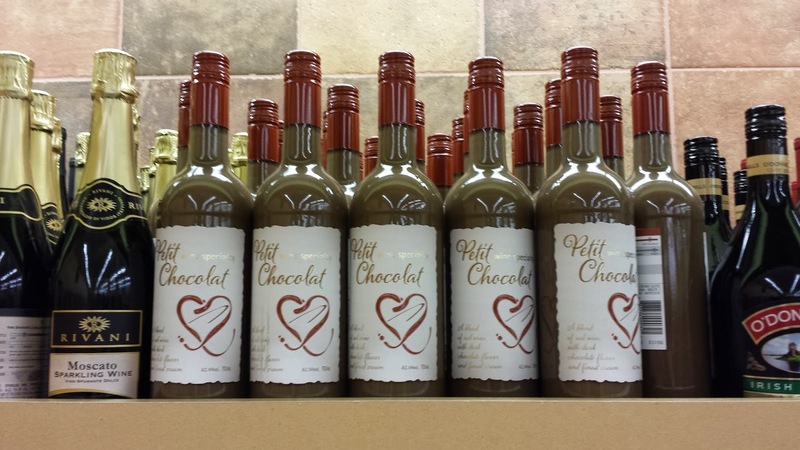 I do love the ALDI Moscato wine that's available all year round, but for a special meal, I'd start with this Petit Chocolat Wine imported from Germany. 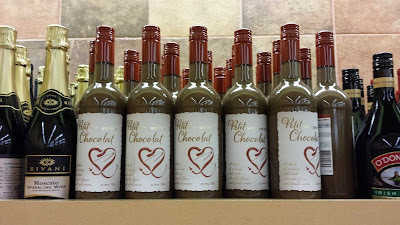 Red wine with chocolate mixed in - how unusual and special. 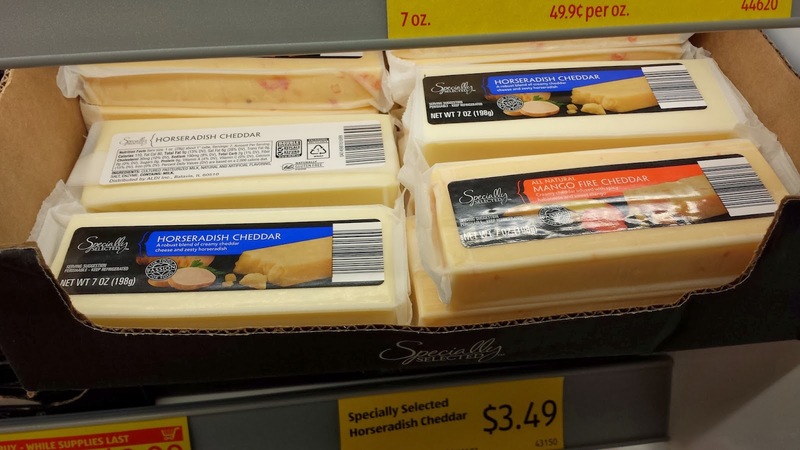 I would pair the wine with these interesting special cheeses - Horseradish Cheddar and Mango Fire Cheddar. And I would use the great ALDI crackers as well! 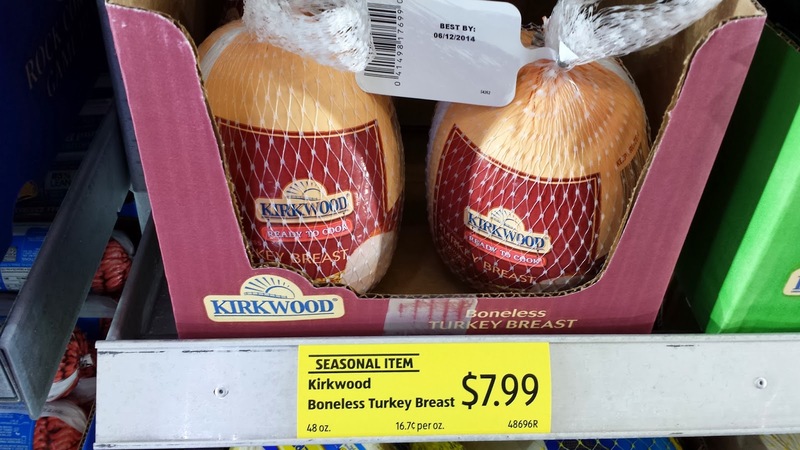 The main course for dinner would be a boneless turkey breast. So easy to make and slice - no worrying about all the bones! I'd serve that with stuffing - ALDI has lots of different kinds of mixes at this time of year. 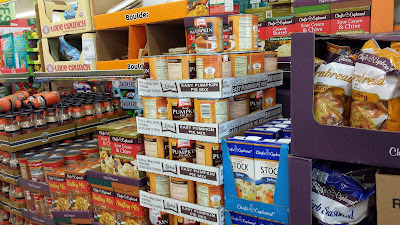 Buy a few extra and put them away for future meals - these and many of the other holiday meal items are seasonal. They'll be gone after the holidays, not to return again until next holiday season! I'd serve the meal with a fresh tossed salad. I love buying the on-sale produce items each week at ALDI. I buy 2-3 weeks' worth of the sale items, which should take me through to the next sale for that item. I'd add some sort of bread as well, like these rolls. 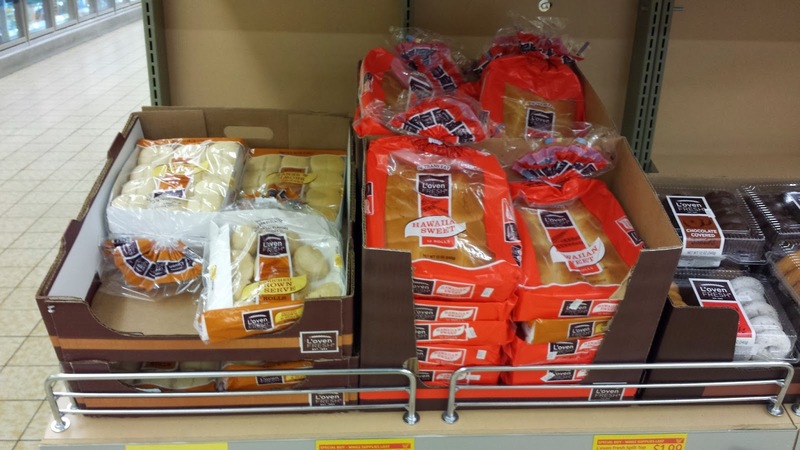 I buy my bread at ALDI - plenty fresh, and lots cheaper than the grocery store! 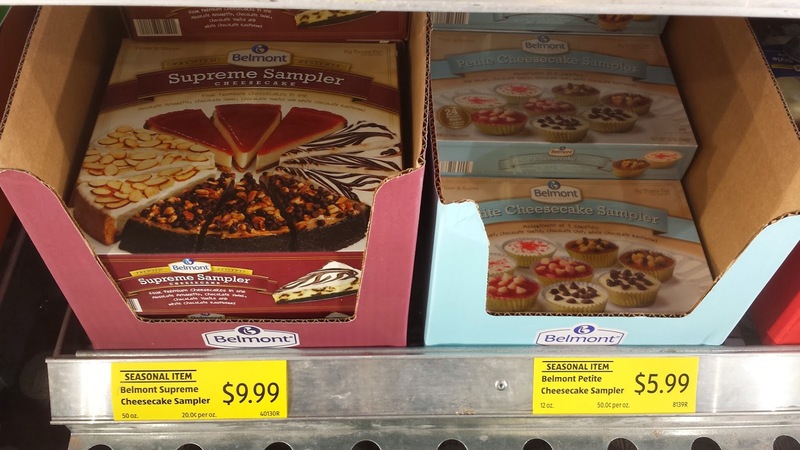 For dessert, I couldn't decide between these two items: The Belmont Supreme Cheesecake Sampler and the Belmont Petite Cheesecake Sampler. Both look amazingly delicious! What a delicious meal - I'm stuffed just looking at all this great food. But I'm also really, really hungry. I may have to get those cheesecakes for real! What is your favorite ALDI holiday specialty item? Leave a comment below! 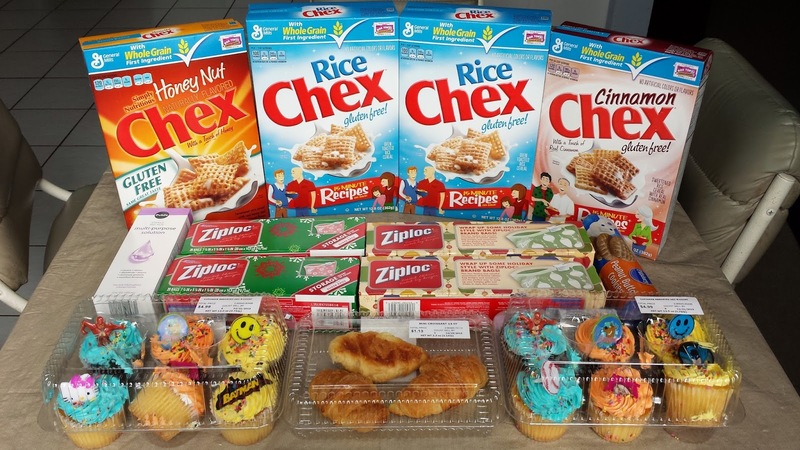 Thanks to World Vision for providing a Cinnamon Box for review as well as for this giveaway! 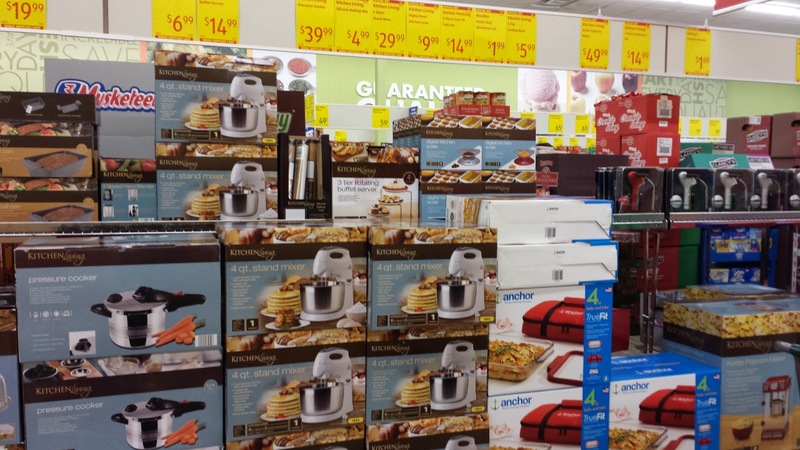 Do you still have some finicky family or friends to shop for this holiday season? For your gift recipients who seem to have everything, fresh cinnamon, coffee or serving spoons from the World Vision Gift Catalog make a perfect, yet special gift. Proceeds from these and other items from the catalog directly help children and other families in urgent need. The World Vision Gift Catalog offers more than 250 items that help fight poverty and save lives here around the world. With a financial contribution, donors can select one of the 30+ handcrafted gifts that can be shared with a loved one and at the same time help a person in need. “Prosperity” Cinnamon Box - Vietnam's renowned sweet cinnamon is a renewable resource collected from the Cassia tree by skilled artisans. It is presented in a beautifully carved cinnamon bark box that bears a common Asian character for prosperity. Hand-Carved Serving Spoons - this beautiful set of two hand-carved olivewood serving spoons is delivered in a hand-sewn gift bag of African fabric and can be used as a decoration or for serving. Fair-Trade Coffee Set includes whole bean coffee from Ethiopia, Sumatra, and Costa Rica blended by OneCup.org and is delivered in a bag hand-sewn by local women with a hand-carved olivewood scoop. I had the chance to receive a "Prosperity" Cinnamon Box from World Vision. When I opened the box, the scent of delicious cinnamon overwhelmed me, even before I had unwrapped the well-shipped package. 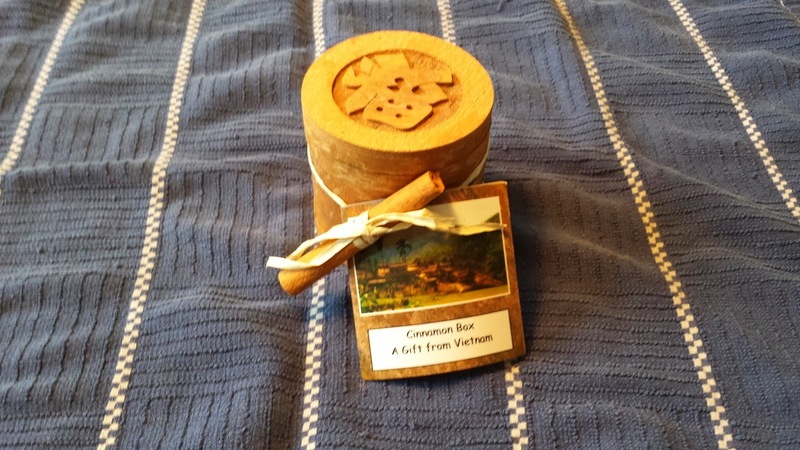 The attractive circular box with lid came with a gift tag that said, "Cinnamon Box - A Gift from Vietnam." The box is made from cinnamon tree bark, so it smells just as good as its contents - 3 ounces of sweet cinnamon. The cinnamon is so much more fragrant than the typical cinnamon you'd purchase at the grocery store. I can't wait to use the cinnamon in delicious holiday cookies and treats! And even after the cinnamon is gone, the box will still be useful - you could use it as you would potpourri, to keep your clothing drawers smelling nice. Or use it to store small items. This is definitely a gift that keeps on giving! Want to learn more? Check out the World Vision Catalog to see other gifts. If you give a donation, you can give a family the gift of a goat, a duck, or a new well. You can give families useful items such as a sewing machine or a bicycle. I think my favorite gift is giving a girl the opportunity to go to school. And if any of these items are too expensive for your budget, you can buy a share of many of them for $25. And there are lots of other great gifts for your loved ones as well, such as beaded necklaces, totes, and scarves. Each of these gifts helps artisans in other countries! Want to learn more? 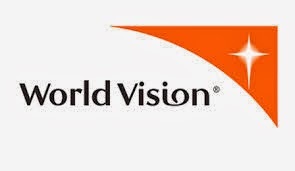 Check out the World Vision Catalog. Or become a fan on Facebook or follow on Twitter. Would you like to receive your own Prosperity Cinnamon Box, either for yourself or for a gift? Frugal Follies is hosting a giveaway for a Prosperity Cinnamon Box from the World Vision Catalog! The giveaway ends on Sunday, December 29, 2013 at 11:59 PM Eastern time. Open to US residents 18 and older. Use the Rafflecopter form below to enter! These natural sauces look delicious, and they have no high-fructose corn syrup like so many other condiments! Enter for a chance to win some below! Welcome to the Robbie's Natural Sauces Prize Pack Giveaway!! Robbie Roberts set on a mission 40 years ago to create a line of sauces that are gluten-free and low sodium after noting how his body was negatively affected by gluten, sodium, and fillers. Robbie’s Natural Sauces are all natural, free of high fructose corn syrup. Sweet Southern Lovin had the opportunity to review a mixed case from Robbie's. Check out our full review here. Prize: One lucky viewer will receive a Robbie's Natural Sauces Mixed Case. By entering using the giveaway form you are agreeing to the terms. Winner will have 48 hours to claim prize or a new winner will be chosen. Fun shopping week at Publix this week! I was able to get some shredded and cream cheeses, pasta, juice, and canola oil. And I got the Mastercard gift card for $40 plus the $4.95 activation fee. But the best deal was the seasonings. Several McCormick spices were on sale for $1.99 each. With manufacturer's and store coupons, I got each for 49¢ - a better deal than the spices at ALDI. Publix: Savings for party time! I took a second trip to Publix before last week's sale was over. I had forgotten to purchase the Ziploc bags on sale, and I wanted to get more Chex cereal. And I needed some saline solution - since I haven't been buying much at the drug stores, where there is usually a good deal regularly, I had run out of bottles in my stockpile. And I bought some cookie dough for my Peanut Butter Blossoms post. But most importantly, I needed some party food! I brought cupcakes to one daughter's class, and bought croissants for the other for a special breakfasttime snack she would be having at school. I still did pretty well, saving 52%! 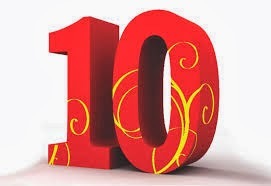 There are ten amazing giveaways for the 10 Days of Christmas running until December 31 on Frugal Follies! The entries for each giveaway are very similar, so if you enter one, be sure to enter the other nine as well - it won't take too much extra time on your part! Who couldn't us some money? 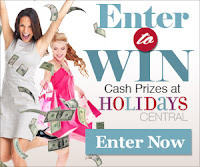 Enter for a chance to win $50 in cash via PayPal! This giveaway is open to US entrants only. Everyone loves Amazon gift card giveaways - here's another one! This giveaway is open to US residents only. Here's a great giveaway - too bad it ends after the holidays! But you can save this gift card for birthday presents! Enter below to win a $50 gift card from Toys R Us! I know you love gift card giveaways, so here's a great one for $50 at Walmart! And there will be two winners! Enter below! Here's a giveaway that would make a great gift - enter for a chance to win one of two Victoria's Secret $50 gift cards! Here's a great giveaway for new moms! Enter below! A celebrity favorite, Cake Lingerie is a beautiful line of maternity, pregnancy, and nursing lingerie that will make you feel more beautiful than you ever have in your life. This contour, creamy beige nursing bra is feminine and sophisticated. The polished texture of microfiber on the the outside of the maternity bra, combined with the softness of its pretty modal floral print lining, makes this the perfect everyday nursing bra. Winner will indicate size 32, 34, 36 or 38 and cup size: C, D, DD Retail Value is $59. We appreciate the support of our sponsor and co-hosts, please show your support by following them on their social media pages. Enter for a chance to win a refrigerator air purifier - sounds interesting!